The Dayton Rolex was named for Daytona, Florida, which hosts the most prestigious event in NASCAR, the Daytona 500. The first stock car race was held on the Daytona Beach Road Course in 1936. Racecar drivers and racecar fans inspired the look and color of the watch. Iconic American film actor Paul Newman also famously influences the Rolex Daytona. A longtime racing fan, Newman reportedly wore his Rolex Daytona every day from 1972 until his death in 2008. If looking over Rolex Daytona price options, keep in mind the rarest versions of these watches are the first versions with four-digit numbers. These were produced from 1961 to 1987. Among the rarest and highly-coveted of Daytonas are those featuring the “Paul Newman” dial, whose characteristics easily go unnoticed by the untrained eye. A Paul Newman dial must be in a Reference 6239, 6241, 6262, 6263, 6264 or 6265 watch, and each of these models feature acrylic domed crystals. Additionally, the sub-dials include block markers instead of lines, and have crosshairs that meet at the watch center. The seconds sub-dial placed at 9:00 is marked at 15, 30, 45 and 60. This is compared to a “regular” Daytona, which features marks at the 20, 40 and 60. The dial may also feature the word "Daytona" written on it above the hour sub-dial located at 6:00. It came in four color and layout combinations, and Rolex has rarely made any other Newman dial Daytonas since their creation. 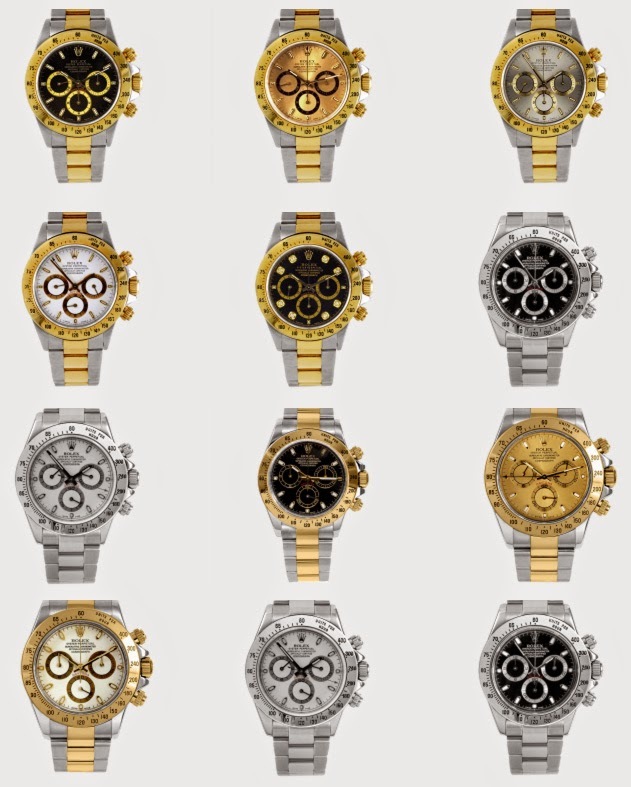 So how much are Rolex Daytona watches, specifically the Paul Newman versions, going for these days? Prices vary greatly, with some costing over $11,000 and others over $90,000, and that’s just on eBay! If you have questions about your Rolex Daytona, or aren’t sure if you have Paul Newman model or not, talk to the friendly team of experts at Swiss Wrist!